It is always fun to introduce a new line to the shop shelves at such a busy time–it just adds a freshness visually to everything around it. 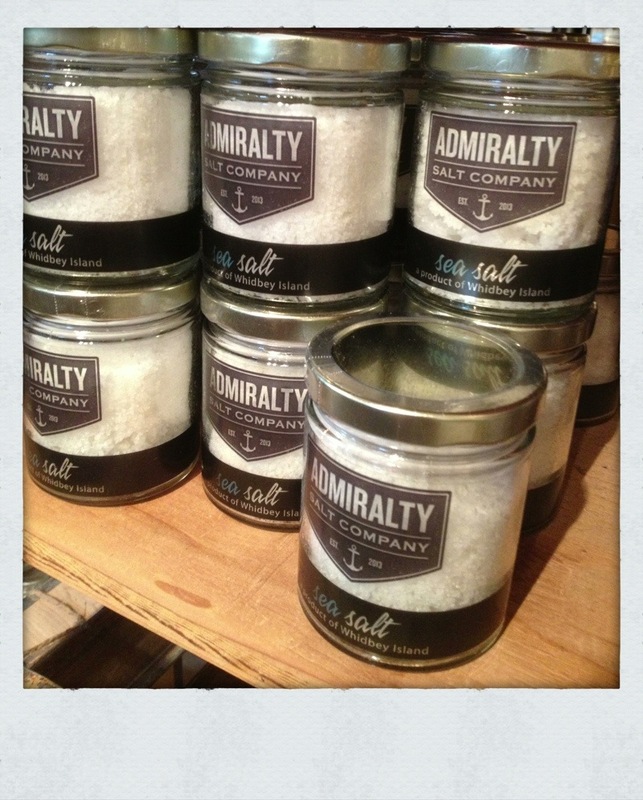 I am so pleased to introduce Admiralty Salt Company, which is a local artisan sea salt made entirely by hand in small batches from seawater they harvest directly from the Strait of Juan de Fuca. It is perfect finishing salt to use as you complete a dish on the stovetop or oven, or to leave out on the table to use while you enjoy your meal. Don’t even get me started on how cool the packaging is. What a perfect stocking stuffer or small gift for any foodie friend or family member on your list. Speaking of local, I wanted to give you all a heads up to a book signing we will be hosting this Tuesday from 5 to 6:30 at the First Avenue shop. By now I am sure you have picked up on my love of Trophy cupcakes. Jennifer, the owner, has created just the most wonderful book that includes cupcake recipes as well as party planning ideas. She will be signing said fabulous book that eve, as well as serving her outrageous cupcakes. It will be such a treat to have her signing her new book while the shop is hustling and bustling with holiday shoppers. Bubbly and sparkling cider will also be served. Please do come join in on the fun this Tuesday evening. Hope to see you there!